10 Inspiring DIY Craft Blogs to Follow — Rose Crown Co.
Hey y'all I love following fellow crafters for some inspiration to keep my creative juices flowing and to expand my crafting ways. The best part is most of these blogs also provide FREE designs with their step-by-step tutorials to help you along the way, so here is the list of my 10 favorite DIY crafty bloggers! When I first started the shop this amazing website was a lifesaver for me! The whole website is targeted to help you start or grow your Silhouette or Cricut business. Do you not have your own business (or maybe just not yet) but you just like to craft as a hobby? Than you will still be so happy to follow Christine (the owner of the blog) because she makes FREE designs and advice for crafting. I have a Cricut Explore (which I absolutely love it) and it is the backbone of my shop, so obviously I would turn to them for crafting advise and inspiration. You can find tons of fun craft ideas of all different styles & materials on the 'Craftspiration' page. Although I don't own a Silhouette machine I knew they would have some great DIY projects and advice that would help me work with the different types of vinyl. Ohhhh how I love EVERYTHING from these girls! Their recipes are heavenly, their decor is #goals, and their crafts are always on my "must make" list. Not only is their blog amazing but they have a photo editor, A Color Story, that I've raved about before (here) which is absolutely perfect to use on those photos you snap once your DIY project is done. 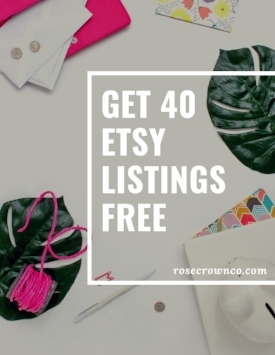 Not only does this blog have colorful DIY projects, but also some wonderful recipes, travel guides, holiday projects, and style to stand out (aka. helloooo color) giving me all the heart-eyes! I am a sucker for bright colors and if you are too than this blog will be your jam for some fun DIY projects! The amount of DIY projects on this blog are endless AND they have videos which is always helpful for us visual learners (cough cough most of us creative minds). Another great thing about this blog is that most of the projects are pretty quick but there are some for beginners to advance crafters. If you are a sucker for bright colors & glitter than this blog is for you with some pretty awesome DIY projects, but know most of these projects may not be for newbies crafters. I found Kayla on instagram and instantly loved her feed and DIY projects she would share. This awesome mom has projects cool moms, for those little kiddos, for gift ideas, and for fun party ideas. She also has some adorable freebies, which include cut files & printables, to try on all different items for a fun quick project. If you have more of a modern style with a love for naturals than this crafty blog is for you!